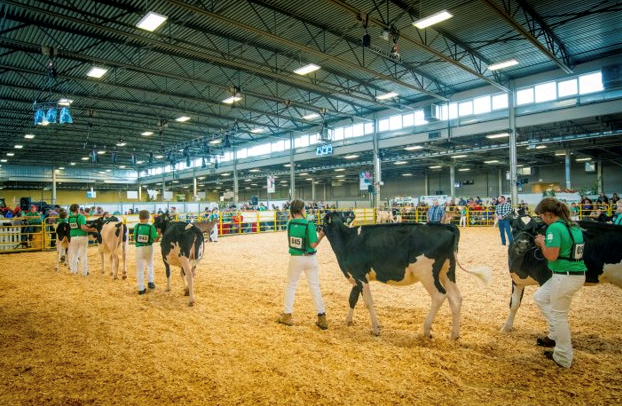 LONDON, Ontario, January 2, 2019: The annual Western Fair has received recognition in three award categories: Agriculture, Horticulture/Crops, and Communications from the International Association of Fairs and Expositions (IAFE) headquartered in Springfield, Mo. The entries were evaluated and judged by a team of industry leaders at the Annual Awards Reception held at the 2018 IAFE Convention from November 25-28, 2018, in San Antonio, TX. Selections are made by the membership of the IAFE, which has over 1,200 members from around the globe. Agriculture: 1st place for ‘Agricultural Exhibitor Incentives Program’. 2nd place for ‘Overcoming Adversity in Agriculture’. WFD also won 2nd place for ‘Consumer Awareness in the Agriculture Environment’ for the five breed horse display. Horticulture/Crops: 1st place for ‘Agriculture program area beautification’. 2nd place awarded for the interactive farm setting with mini barn display. Blackwell says it is the the Association’s commitment to these efforts that will have a positive impact on the next generation and allow Western Fair to continue to expand their agri-educational reach. “Being recognized by our peers on an international level, amongst fair’s from across the globe, says a lot about London, Ontario, its fair, and the efforts and dedication of our volunteers and staff.” Western Fair was also recognized for their communications efforts in multiple categories.